The IAFP offices will be closed Dec. 25 until Wednesday, January 3, 2018. IAFP staff will continue to monitor voice mail and email to respond to urgent matters. 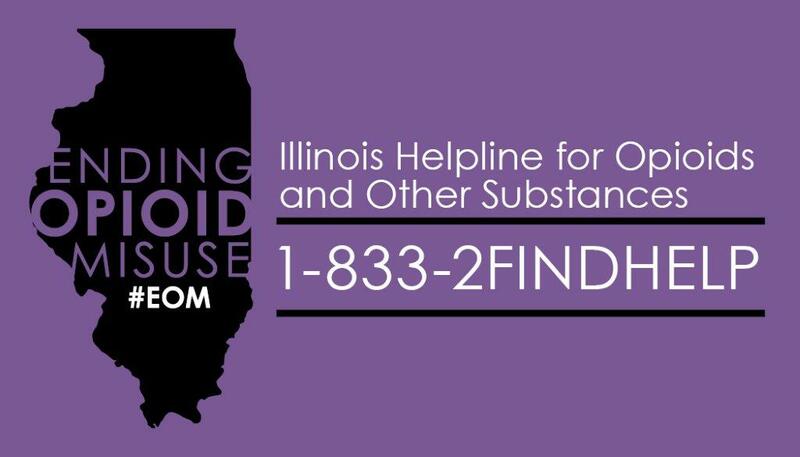 This week the Illinois Department of Human Services, Division of Alcoholism and Substance Abuse (IDHS/DASA) announced the Illinois Helpline for Opioids and Other Substances. The free and confidential Helpline is open 24 hours a day, seven days a week for those experiencing opioid use disorders. To reach the Helpline, call 1-833-2-FIND-HELP. IAFP is working with IDHS/DASA to distribute business cards with the number using this order form. If you are interested in adding a graphic like the one above to your websites to help promote the number, IDHS/DASA has provided several options online that you can download and use. 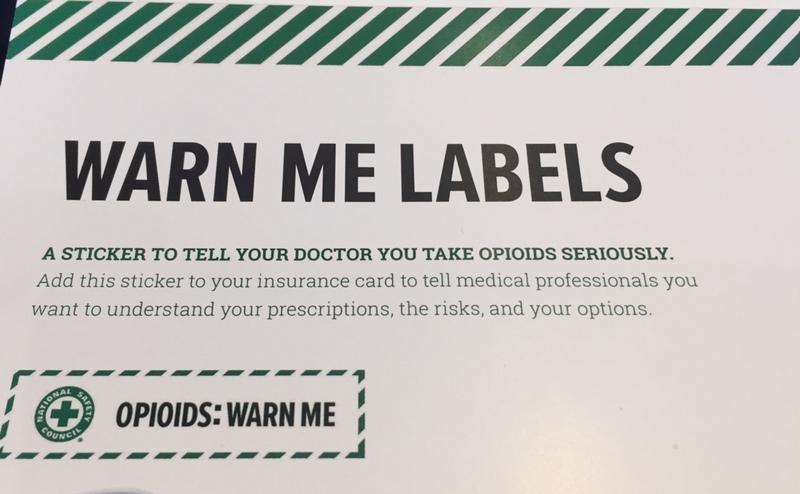 Click here for a physician information sheet about the "warn me" labels from the National Safety Council, and how you can request free prescription mail-back envelopes for your patients. Check out this inspiring videopromoting family medicine. 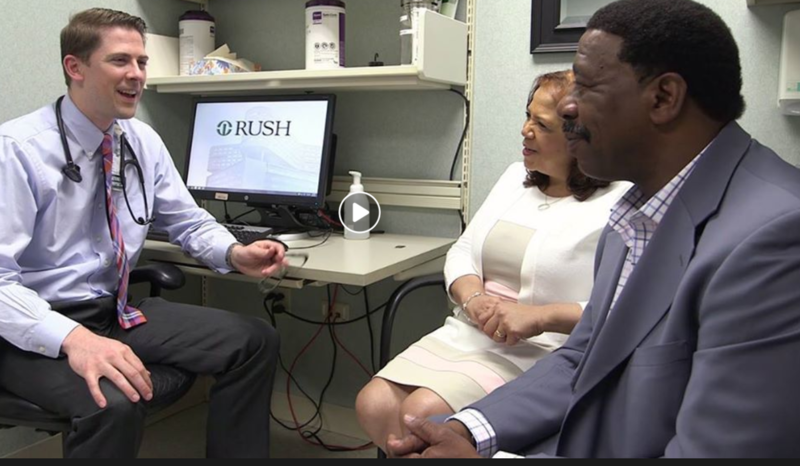 Rush University Health Center has posted a wonderful video feature on their family physicians, which includes IAFP second vice president Michael Hanak, MD. Though the video is produced by Rush, the content definitely speaks to what family medicine is and does, every day, around the world. Enjoy it and share it! Stroll down memory lane of IAFP 2017 -Get a glimpse of all the great things that IAFP members did in 2017. 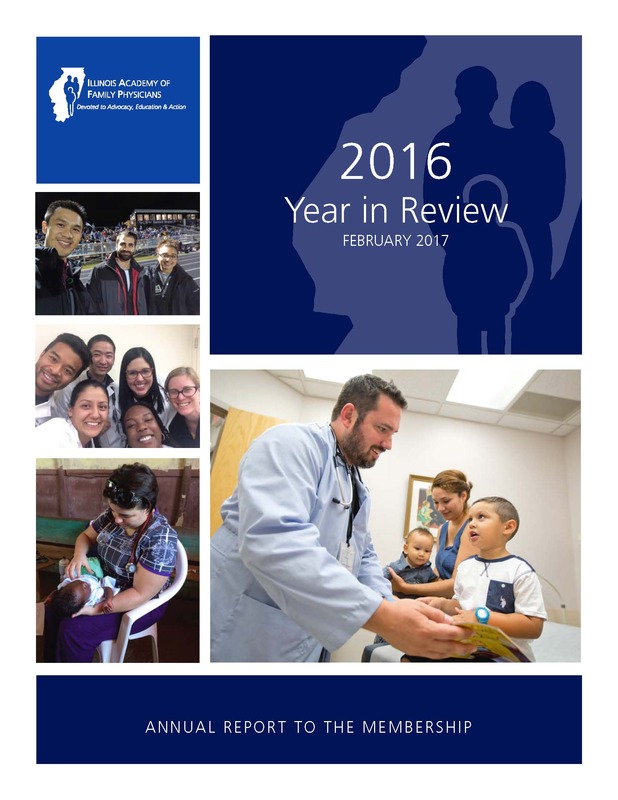 Our "Year in Review" from the IAFP annual meeting is available online. Spend Valentine's Day working on a KSA on Heart Failure (Heart - Valentine's Day - get it?). Join our KSA Group Study at Rush Copley in Aurora on Feb 14. Click here for more info. 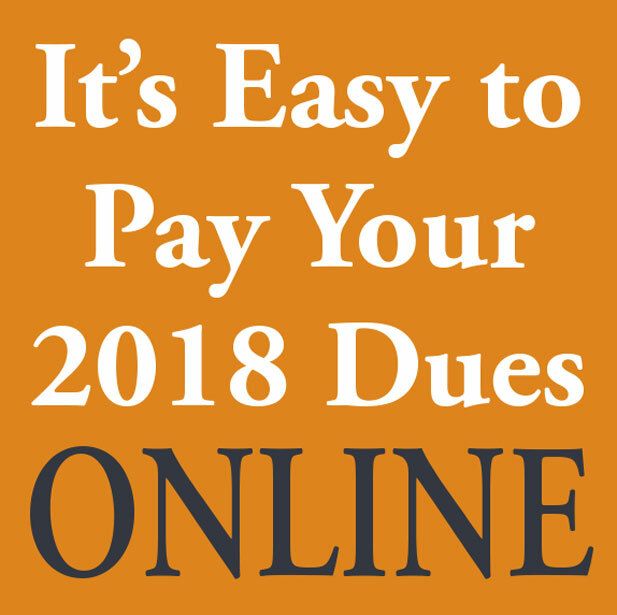 Online registration is open! Help us provide students with a variety of tangible family medicine exposures, positive mentoring and interaction only possible through the Illinois Academy of Family Physicians. Learn more and then sign up via the secure Mentorship Community Forum (member login required) on our web site by Dec. 31. Support provided by a grant from the AAFP Foundation through the Family Medicine Philanthropic Consortium. A new law, signed by Gov. Bruce Rauner on Wednesday, requires that all prescribers with controlled substance licenses must register for the Illinois Prescription Monitoring Program (PMP) by January 1, 2018. The PMP is an electronic tool that collects information on controlled substance prescriptions, reported on a daily basis by retail pharmacies dispensing in Illinois. Prescribers need to use the PMP to enhance their understanding of each patient's prescription history, combat prescription drug abuse and curb "doctor shopping." If you are not already registered with the IL-PMP, please visitwww.ilpmp.org and register today. If you have any problems registering, call the PMP for assistance at 217-524-1311 or email [email protected]. A new law means that effective Dec. 11 newborns will also be screened for two additional lysosomal disorders: Krabbe disease and Hunter syndrome. Medical students and physicians came out in the cold on December 14 to advocate that children are not left out in the cold, without health insurance possible through the federal Children's Health Insurance Program. Lack of CHIP Funding Continues to Affect States On November 29, the National Governors Association sent a letter to Congressional leadership urging immediate action on the Children's Health Insurance Program (CHIP). So far, Illinois Gov. Bruce Rauner has remained silent. 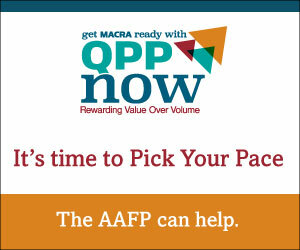 On December 7, the Partnership for Medicaid (AAFP is a member) released a statement calling on Congress to include a five-year CHIP extension in any early December spending bill. CHIP programs in Virginia, Connecticut, Colorado and Montana are among those slated to run out of money by the end of January. Illinois funding is expected to last until June. Register by Dec. 21 and SAVE $150! Santina Wheat, MD was interviewed by Univision Chicago after speaking at the CHIP rally on December 14 and was included in their evening news. Watch it here. Dr. Wheat was also interviewed by Telemundo Chicago - in Spanish for their evening news. You can see that story here. 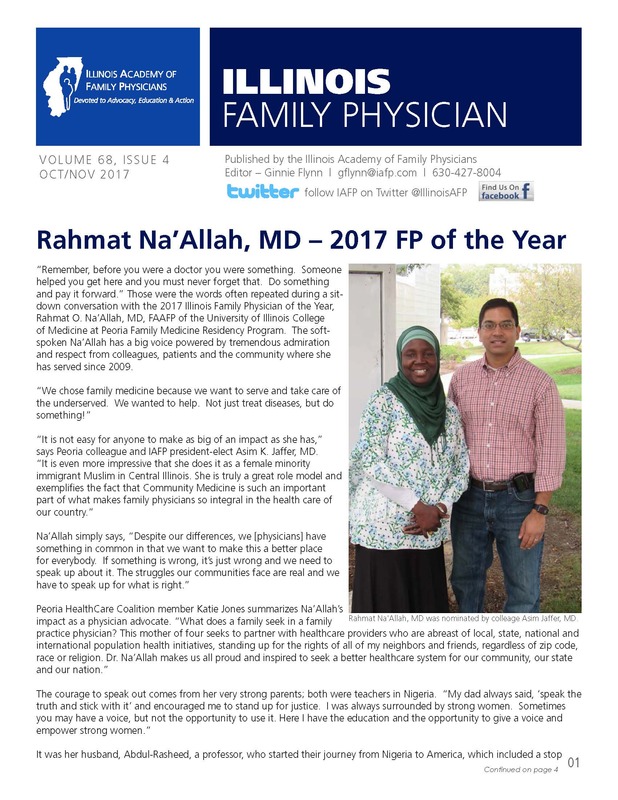 Northwestern McGaw - Lake Forest resident Anna Balabanova, MD was profiled in the AAFP's "Member Monday" feature on Facebook this week. IAFP member Jim Cunnar, MD of Naperville was quoted in the Dec. 6 Washington Post story voicing his concerns about the announced merger of Aetna and CVS Caremark.